Wine Bucket, 2 Ice buckets. 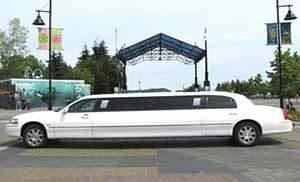 This Limousine is our most popular vehicle and has been used for many uses from Weddings, Anniversaries, Birthdays, Private Parties, Trips to Victoria, and any Special Function you would like us to provide our Professional Transportation for you. This day you have waited a lifetime for, now it’s almost here and your dreams are about to come true. Beauty and elegance, a fairy tale come true, allow us to help you make the memories that you deserve, with our professionalism and attention to detail, we are at your service! Plan a weekend away with some of your girlfriends, maybe a shopping spree to Victoria, or a weekend getaway to one of our many coastal resort towns? Is a right of passage that we have all experienced. 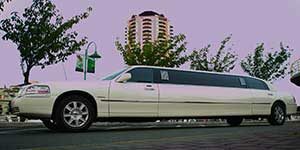 For your peace of mind why not give them a limousine as a gift and enjoy the moment? Because you don’t leave anything to chance, why not have your personal assistant or secretary put our contact number on her, or his speed dial? 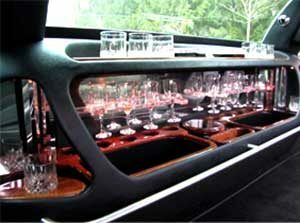 We have excellent credentials and references from the business community and we understand your needs. Whether business or pleasure your trip will begin leisurely when you arrange for us to deliver you to your exit or entry point. No waiting just a smooth transition from one mode of transport to another. Treat that special person in your life to an intimate evening out. Wine, dine and dance carefree and carfree, we get you there and get you back whilst you enjoy the evening and all that it offers! 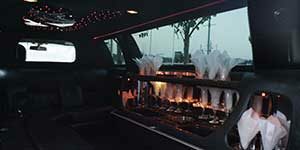 When you book Miracle Mile your evening will begin sooner and will end when you decide. 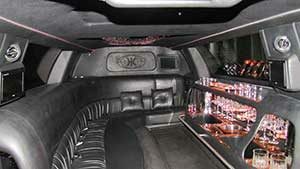 We will work within your schedule to ensure you and your friends have the most enjoyable evening.